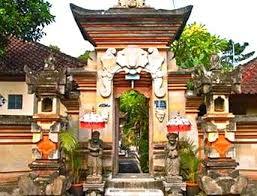 One of the most sought after by tourists who are on holiday in Bali is Ketut Liyer. In fact, Ketut name is the name of the most well known today, synonymous with the name of the Balinese. Ketut Liyer is a man who lives in Ubud Bali, with the profession as a traditional healer, and also as an artist with the work of the various paintings. This man was well-known since the last character in a movie made in Holiwood, entitled Eat Pray Love. He became an important figure in the story of a woman who finds love in Bali. In the movie, a character as Ketut Liyer played by someone else, because the process of making the movie, he was hospitalized. See also: Choose a holiday to Bali or Lombok? or Party every day while on holiday/vacation in Kuta, Bali. Eat Pray Love is a movie that is instrumental to making Ketut Liyer became very famous. Although he is not the main character in the movie. Eat Pray Love also makes Bali is becoming increasingly well known as a world tourist destination with an abundance of beauty. Indirectly, the movie has been promoting Bali and Ketut Liyer as part of a holiday destination by people from around the world. Holiday to Bali would not be complete and satisfied if you have not visited the places that had been shown in the movie. In fact, met with Ketut Liyer also be part of the holiday/vacation activities. Incomplete if it does not meet Ketut in Bali while on vacation. If your vacation / holiday in Bali and wanted to meet Ketut Liyer, then you need to go to Ubud, visiting his home. 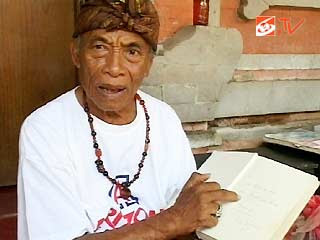 Ketut Liyer home address is in Banjar Pengosekan Kaja, Desa Mas, Ubud, Gianyar, Bali. You have to arrive earlier than others, if you do not want to queue for too long. Because every day there are dozens of people who wanted to meet him. Ketut only accept a maximum of 25 people per day. Because he was very old and very easily tired, the impact of the pain. So, the earlier you arrive home Ketut, then you are not going to stand in line too long to get a turn revelations. The ability to predict is what makes Ketut Liyer in Ubud became very famous. In the movie is told that Ketut can predict well and it finally happened. Many people who come to him for at tellers. Although many of them are not satisfied. Because when face to face with Ketut Liyer, he saw only the palms and talked a bit. Ketut mostly invites guests for a chat and a laugh. With the ability to speak English is bad, Ketut trying to satisfy his feelings when he met. That is why a lot of guests who come to Ketut dissatisfied. Though it comes with serious eased to forecast about the future life. As do Ketut Liyer the main character in the movie Eat Pray Love. When the holiday / vacation to Ubud in Bali is not only to meet Ketut Liyer, also can see the interesting sites and many art museums in Ubud. Because Ubud is famous as a regional arts and cultural development in the center of Bali. Holiday in Bali and went to Ubud is the right choice. A famous tourist attraction is Monkey Forest, Ubud Art Market, Ubud Royal Palace, terraced rice paddies in Ubud, several art museums. But if to Ubud want to meet Ketut Liyer, then met her first priority. Because it limits the guests who wanted to meet him. Read also: Cool holiday at Pandawa Beach, Bali.